Who can use the Lesserian™ trademark? Only those therapists who consistently prove their skills and standards by examination, ongoing studies and continued professional development are licensed to use this trademark. All such therapists should have their Licence on display and must produce a copy of their licence to show on request. What does the trademark mean? Thus any practitioner who holds a licence to use this trademark is capable of providing treatment to the highest standards. In the 1990s, the governing body for the Curative hypnotherapy profession became concerned by the confusion which was being caused by several organisations that incorporated the word ‘Curative’ within their titles. The members decided it was necessary to ‘brand’ the treatment, to avoid confusion in the future. In honour of David Lesser – the pioneer of this treatment – the trademark Lesserian™ was registered by this College to mark the difference. The name Lesserian™ Curative Hypnotherapy is, therefore, protected and denotes the method of treatment which requires the understanding of how the subconscious works to develop and maintain a symptom and the methodologies, tools and techniques required to identify this unique information, before enabling correction of the misinterpretations of life events, which is the necessary first step on the path to enabling a complete and permanent effect to be achieved. All of us react in accordance with our previous experiences and, as no two people have had identical experiences, each cause of each symptom is unique to the sufferer. Therefore this information can only be found out from the sufferer him/herself. The object of Lesserian™ Curative Hypnotherapy is to locate and identify the causative event(s), enable a correction of the misunderstandings and misinterpretations from those events, so that the symptom(s) is no longer required and the problem is disposed of. Once the cause is eliminated then the effect (the symptom) cannot continue to exist. It will therefore steadily disappear until all traces of the symptom are gone. LCH is a form of hypnotherapy which changes erroneous subconscious beliefs that a person holds. Symptoms are viewed as changes in the physical or mental condition of an individual which satisfy the erroneous belief. The potential for erroneous beliefs is created as a result of mistaken interpretations of life events. If subsequent life events reinforce the erroneous belief, a level of saliency of the belief can be reached; which triggers the need for a symptom. LCH treatment is to correctly identify then re-interpret the mistaken life event. This results in a change to the belief and consequently the loss of need for the symptom. Without a need, a symptom is no longer manifested; ensuring the symptom is permanently eliminated. David Lesser was the founding father of Curative Hypnotherapy. 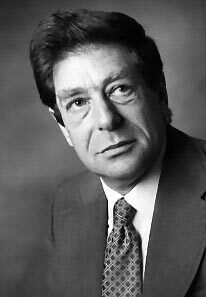 It was David who first saw the possibility of finding the cause of people’s problems rather than simply treat their symptoms, and devised the use of hypnosis and a specific questioning technique for this purpose. David Lesser had an extremely varied career before qualifying as a Massage Therapist in 1966. In refining his techniques of relaxation massage and learning how to teach them to others, he became interested by the interaction of mind and body, the way such deep mental effects could be achieved by purely physical treatments. He decided to investigate the opposite effect – that of mind over body – which led him to hypnosis. Further study and research led him to using hypnotherapy, but he was intrigued as to why one person would react in one way to treatment, and others in a different way; some improving vastly, others only slightly and some not at all. He wanted to understand why this was so. During his earlier career in electrical manufacture, he was used to using a logical ‘fault finding’ method. If something didn’t work properly, there had to be a reason for it and by working logically back through all the components the root of the problem is found. While David’s innovative work and his understanding of how the subconscious works remains the basis of Lesserian™ Curative Hypnotherapy, advances in the application and techniques continue to be made. The work he pioneered is constantly evolving to remain at the forefront of hypnotherapy treatments currently available and is carried out in his name. David is the author of the first two books on the Curative uses of hypnotherapy. He was the elected President of the Association of Qualified Curative Hypnotherapists from it’s inception in 1985 until he died in 2001. He founded the Hypnotherapy Training College (as ‘Therapy Training College’) in 1978.